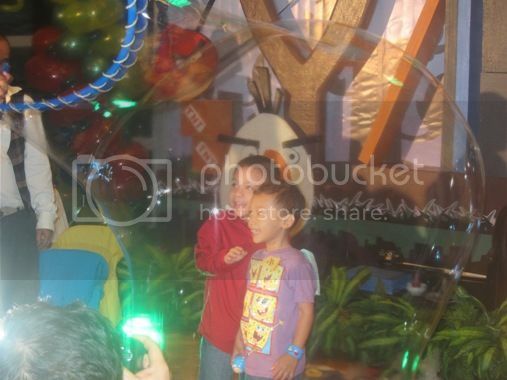 We were invited to an angry birds-themed birthday party held at The Loft, 38F Manansala Tower in Rockwell Center, Makati City last Monday, December 19, 2011. Jed was celebrating his 7th birthday. Jed is the oldest child of my high school buddy Ana. 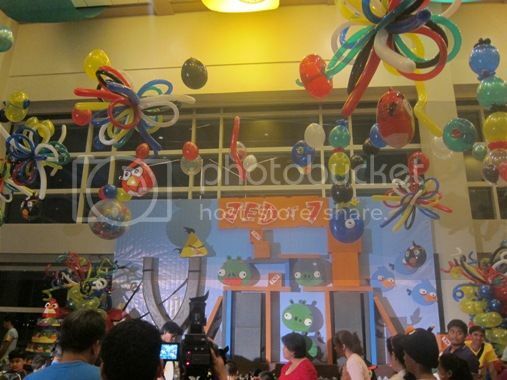 Angry birds and pigs were everywhere! This was one of the best birthday parties we’ve ever been to. There was an animal show, a bubble show, an inflatable playground and face painting for kids. Aside from the buffet table, there were also different food booths offering popcorn, tortilla chips, fruit shake, hotdogs, cotton candy, ice cream and candies and jellies. There were also lots of games for the kids. 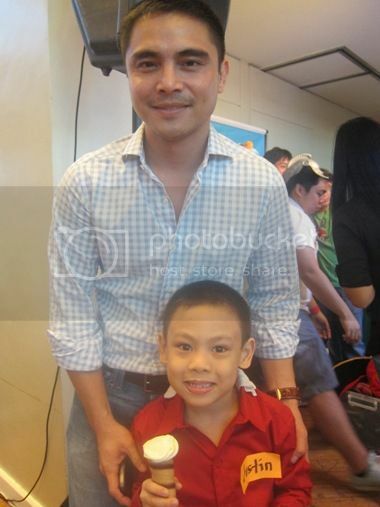 We also saw two GMA Kapuso talents (Marvin Agustin and Jillian Ward), which added even more excitement to Jed’s birthday bash. 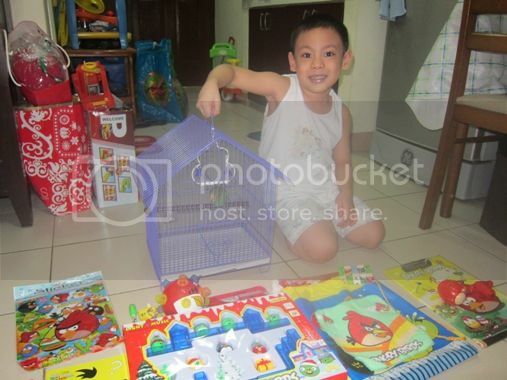 Justin went home with all of these angry birds items plus a lovebird! 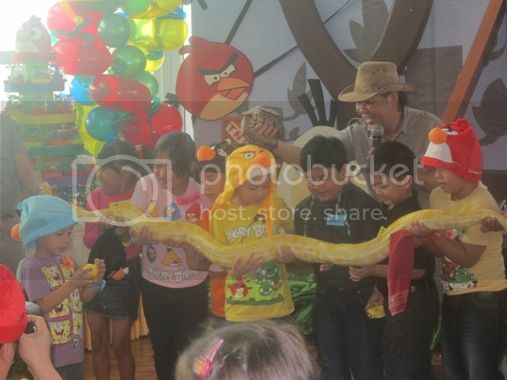 My son really enjoyed attending Jed’s 7th birthday party. Thank you so much, Ana, for inviting us! Advance Merry Christmas to you and your family! 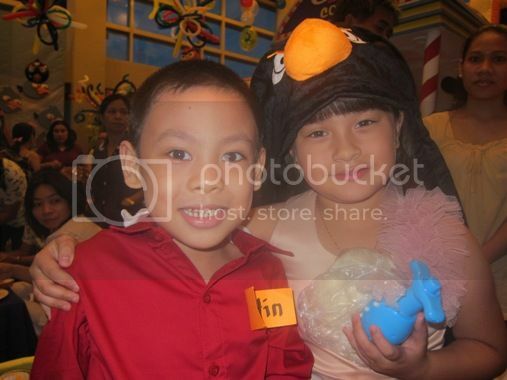 This entry was posted in Angry Birds, Birthday Party, Mommy Moments. Bookmark the permalink. Such a blast, di tumatanda si Marvin A ano ate? Have a wonderful Christmas celebration! Seems Justin really had a great time there! Merry Christmas to you and your family! WOW! you’re always being invited to bonggacious parties! 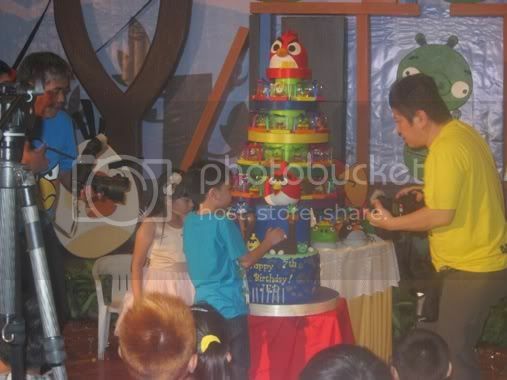 bonggacious naman ang birthday celebration na yan..woot!